Deadlines. Any way you want them. Secure. » Anyone can learn how to use in minutes! 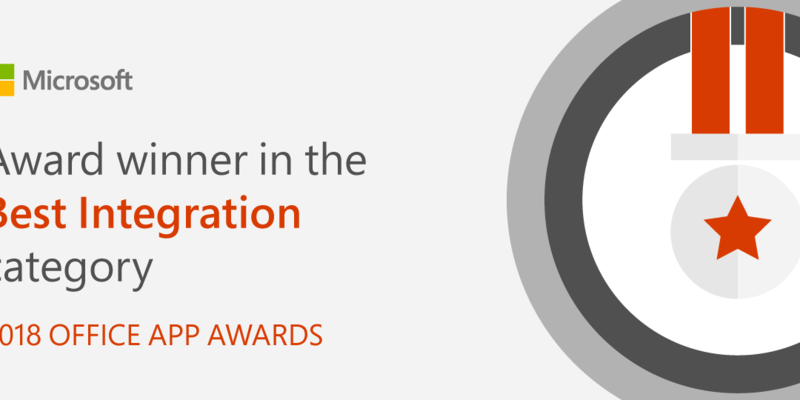 Orlando, Florida – LawToolBox, a market leader in delivering modern solutions for legal professionals in Microsoft Office 365, announce that at the Microsoft Ignite conference it has won an award for second place in the Best Office Integration category for its Deadline App for Microsoft Teams. 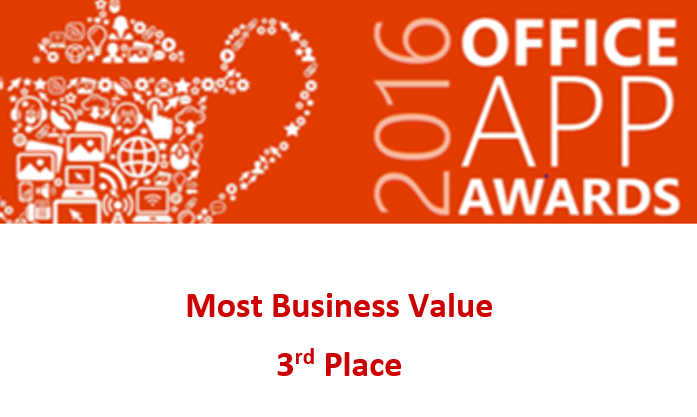 This recognition is especially meaningful and notable because thousands of apps were eligible for this category across the Microsoft Office App Store…. 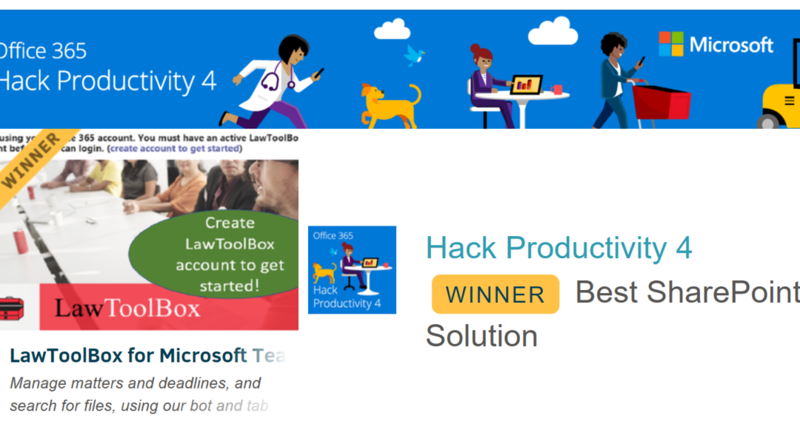 Congratulations to the entire LawToolBox team for winning BEST SHAREPOINT SOLUTION (see more) in the Microsoft Hack Productivity contest! Legal professionals can now calculate and manage court deadlines from within Microsoft Teams, Microsoft’s workplace collaboration software, with the release this week by court deadline calculator LawToolBox of its Deadline App for Microsoft Teams. 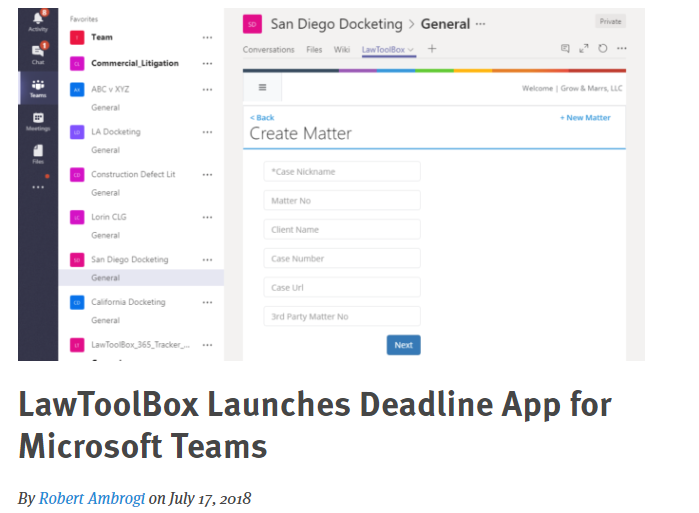 This new app for Teams builds on the functionality of the company’s app LawToolBox365 Office for Legal, which is an Outlook add-in that integrates with Office 365 to enable legal professionals to manage court deadlines entirely from within Outlook. 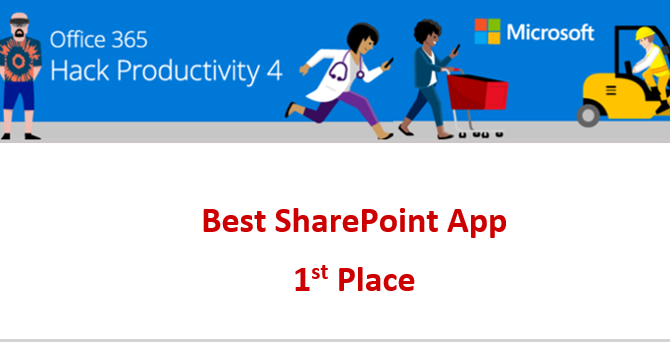 With the teams app, users can jump back and forth between Teams and Outlook to manage the same matters. As a litigator with a particular focus on defending legal professionals in malpractice and disciplinary claims, I am keenly aware that managing deadlines is a critical part of every law practice. Missed deadlines are frequently one of the most common reasons lawyers get sued or their clients file grievances…. LawToolBox automates deadlines and rule changes so litigators can focus on the substantive issues that will win their case.